Sole, a fitness equipment manufacturer, offers a line of elliptical machines. Sole provides a warranty on its ellipticals, which vary from one year to a lifetime depending on the part or elliptical model. Whether warrantied or not, you may want to troubleshoot the issue on your own before contacting Sole for repair. Problems with operating your Sole elliptical may cause permanent damage if not addressed properly. Other problems may cause your elliptical to perform poorly or not operate at all. 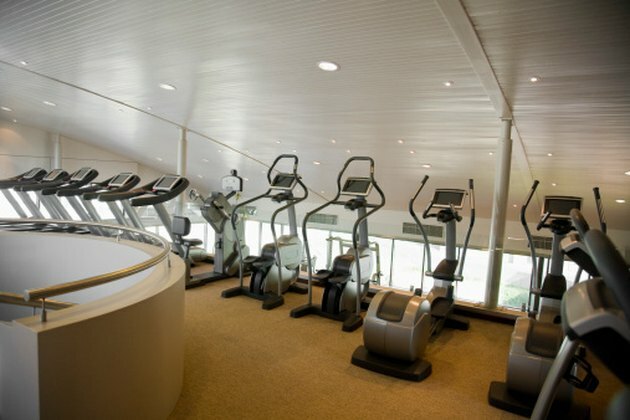 Typical console problems you may experience when using your Sole elliptical include the elliptical not turning on, the console not displaying correct information, incorrect incline adjustments and false or no readings from the heart rate monitoring system. Other Sole elliptical problems you may experience include the pedals slipping, leveling issues or noises, such as squeaks, clicks or thumps coming from the machine. Keep your Sole elliptical on a flat surface. Plug it into a grounded 110-volt, 15-amp outlet. Disconnect your elliptical before cleaning it or trying to service it. Do not operate it if it has a damaged cord or plug. Do not remove any covers to access internal components before first unplugging it. Turn off all controls before unplugging it from the outlet. Unplug your elliptical during electrical storms to prevent damage to electrical components. To prevent problems, vacuum underneath your Sole elliptical weekly to prevent buildup. Once a year remove the black motor hood and vacuum any accumulated dirt inside. Wipe down all areas exposed to sweat with a damp cloth after each workout. Do not operate your Sole elliptical on padded, plush or shag carpet to avoid damaging both the carpet and the elliptical. Re-tighten bolts as necessary; check bolts before each workout. If you need replacement parts, warranty service or need to speak with someone about the problem you are experiencing, contact Sole's Service Department at 866-MYSOLE1. Prepare before you call by having the serial number of your elliptical ready; locate it on the front lower base on the burgundy sticker. Provide all numbers and letters printed on the sticker. What Are the Causes of a Noisy Treadmill?